The last time scientists set foot on France's remote Ile aux Cochons—roughly half way between the tip of Africa and Antarctica—the island was blanketed by two million of the flightless birds, which stand about a metre (three feet) tall. 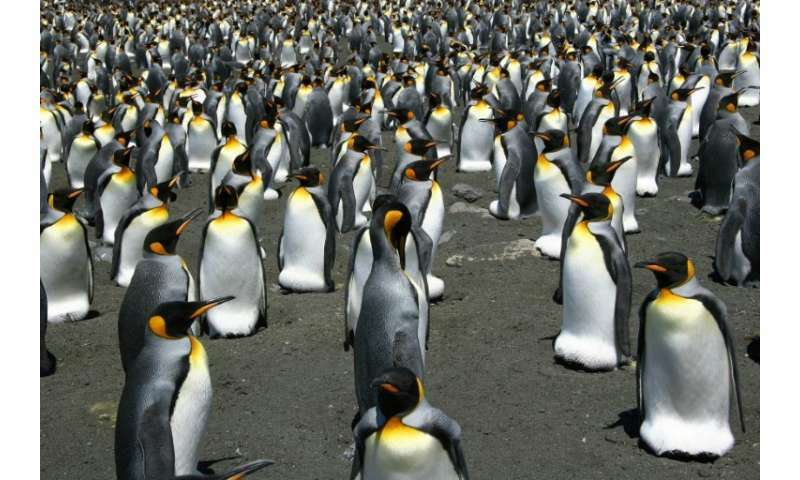 Indeed, Weimerskirch and colleagues showed in an earlier study that climate change, on its current trajectory, will likely make the Iles Crozet—the archipelago that contains Ile aux Cochon—unviable for king penguins by mid-century. But until Weimerskirch and other researchers return to Ile aux Cochons—hopefully, he said, in early 2019—they won't know for sure. Switch 500 of them to Tasmania (South of Australia) and 2000 of THE SMALLEST Penguin Species that are seen in Tasmania to This Place ! Observe whether they both thrive at North West and South East of the Globe !